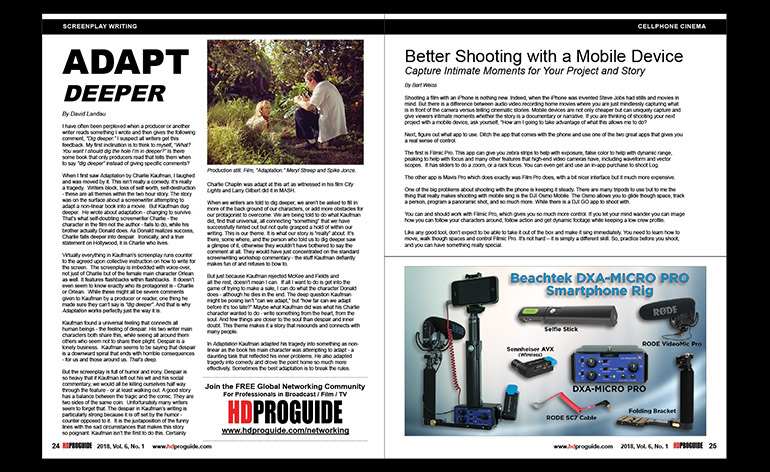 Award-winning filmmaker, educator and director/founder of the Dallas VideoFest Bart Weiss writes about mobile media filmmaking in the new issue of HD Pro Guide Magazine, 2018 NAB Edition. His article is nicely nestled next to one of my favorite Beachtek kits for cellphone movie making. 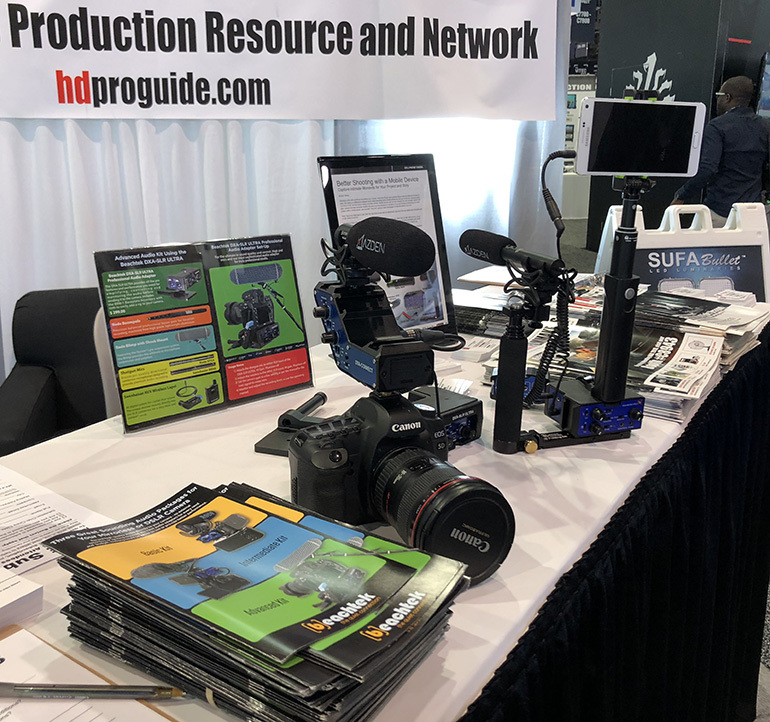 This awesome edition of HD Pro Guide Magazine was exhibited and distributed at NAB 2018 in Las Vegas. 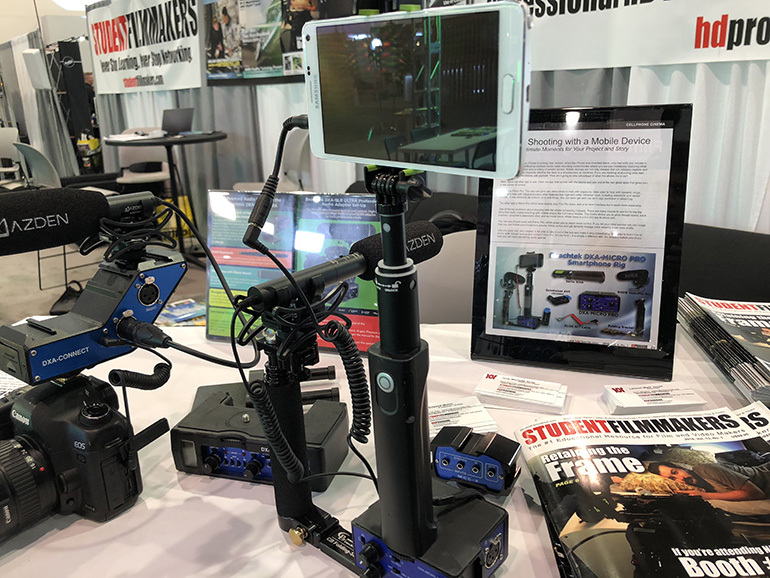 Check out these photos taken at our booth which also displays the Beachtek DXA-MICRO PRO Smartphone Rig.